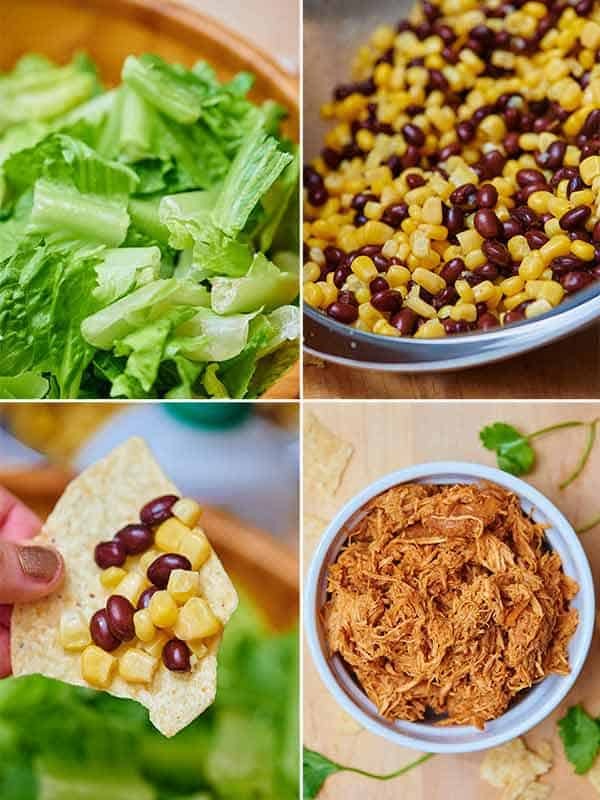 This BBQ chicken salad is easy, healthy, filling…and…oh yea…delicious! Everyone went back for seconds and wanted the recipe. It’s the perfect meal to feed your guests without having to spend precious time slaving away in the kitchen. Whoa. I am in serious need of salad. BBQ Chicken Salad to be exact. Last week I think I was on a mission to gain as many pounds as possible, as quickly as possible. We talked about eggnog donuts, mint chocolate candy, and peanut butter blossoms. As much as I love all of these sugary, ultra delicious treats. This morning, I was craaaaving a salad. All my body wanted was fresh, crisp lettuce to offset all that peanut butter and chocolate. So naturally, I made a BBQ Chicken Salad, complete with corn, black beans, and tortilla chips. Duh. You’d think being a food blogger, that when we have friends over for dinner, I’d prepare an elaborate meal with 5 courses, complete with the perfect wine pairings, and a dessert and some espresso to top off the night. Maybe some of you are like that – teach me your ways! – but I, on the other hand, keep things easy. I am a huge fan of the crock pot when people come over. It makes the house smell amazing, because it’s been cooking all low and slow all day and then you can focus more on the guests, and wine ;), then spending time by yourself in the kitchen! So, we had friends coming over one night. Obviously, I wanted to make something easy and wouldn’t you know that this BBQ chicken salad is easy?! 😉 Throw some chicken and BBQ sauce in a crock pot and let cook low and slow for eight hours. I even made my own homemade BBQ sauce, because I don’t like how store bought tastes, but it only took me a matter of minutes! The ingredients and instructions will be posted below. Easy? Check! I also had a request to make something healthy, which is perfect, because like I said, last week I was trying to beat a world record for pounds gained in one week or something. So it had to be healthy, but two guys would be present, so it needed to be filling, too. 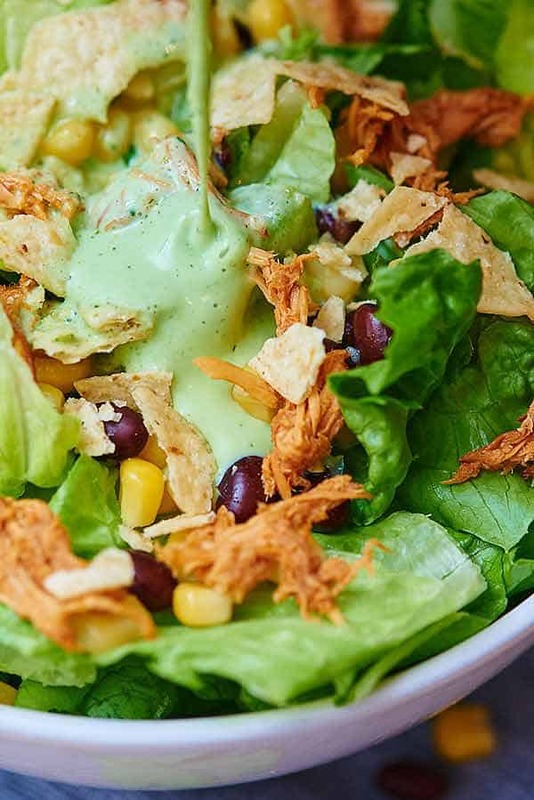 This BBQ chicken salad starts with a base of romaine, is topped with lightly salted corn and black beans, that shredded chicken that’s been cooking all day, a few crushed tortilla chips, and a Ranch yogurt dressing! The dressing takes 10 seconds to put together. Take Ranch yogurt styled salad dressing, reduced fat sour cream (I’m sure greek yogurt would be great, too! 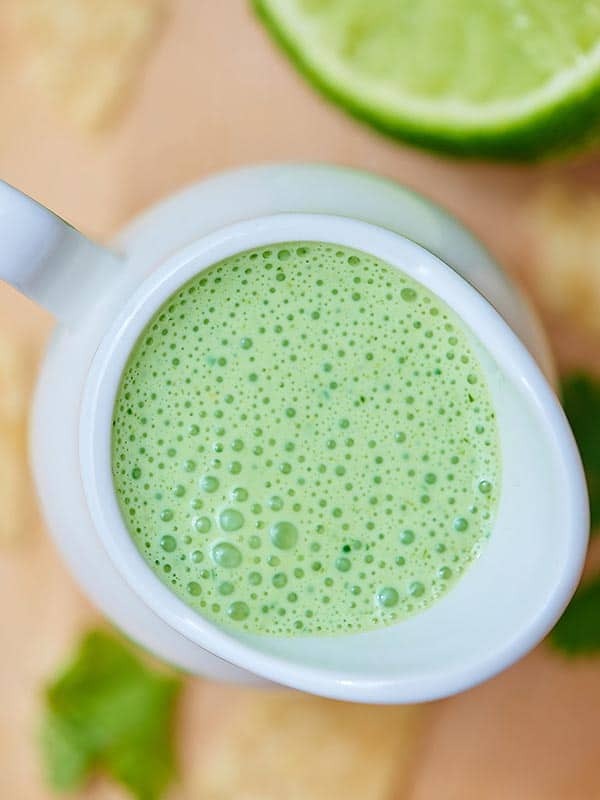 ), lime juice, a handful of cilantro and give it a quick spin in your blender and you have one healthy, delicious dressing. Let’s recap. 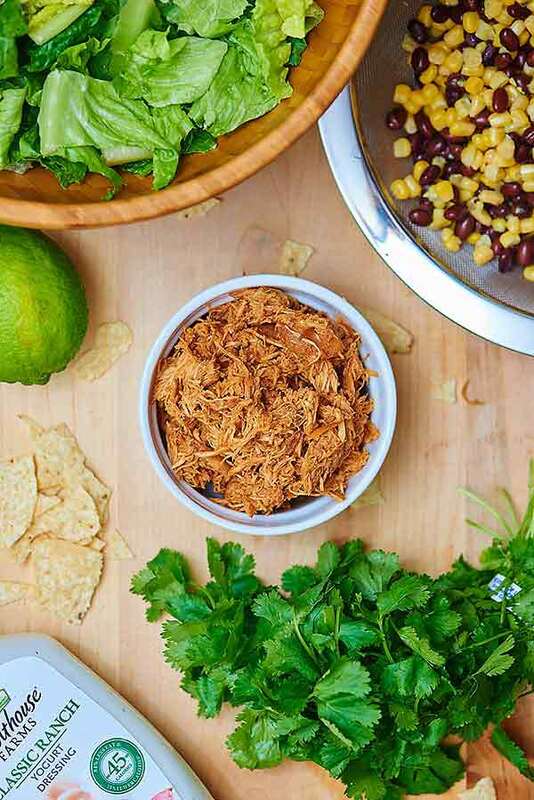 This BBQ chicken salad is easy, healthy, filling…and…oh yea…delicious! Everyone went back for seconds and wanted the recipe. It’s the perfect meal to feed your guests without having to spend precious time slaving away in the kitchen. 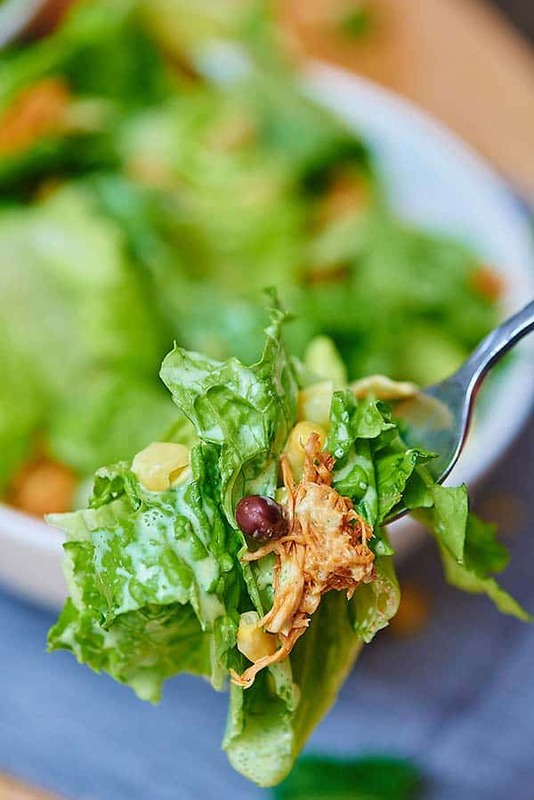 This BBQ chicken salad is easy, healthy, filling...and...oh yea...delicious! Everyone went back for seconds and wanted the recipe. It's the perfect meal to feed your guests without having to spend precious time slaving away in the kitchen. Start by making your BBQ sauce. Place all ingredients into a medium sized saucepan and bring to a simmer, stirring occasionally. Let cool slightly, before placing a thin layer on the bottom of a lightly greased crockpot/slow cooker. Place chicken breasts, in a single layer, on top. Place more BBQ on top of the chicken, reserving 1/2 cup for later. Cover and cook on low for 7-8 hours. When the chicken is fully cooked, shred the chicken in the crockpot, and stir in more BBQ sauce if it's too dry. 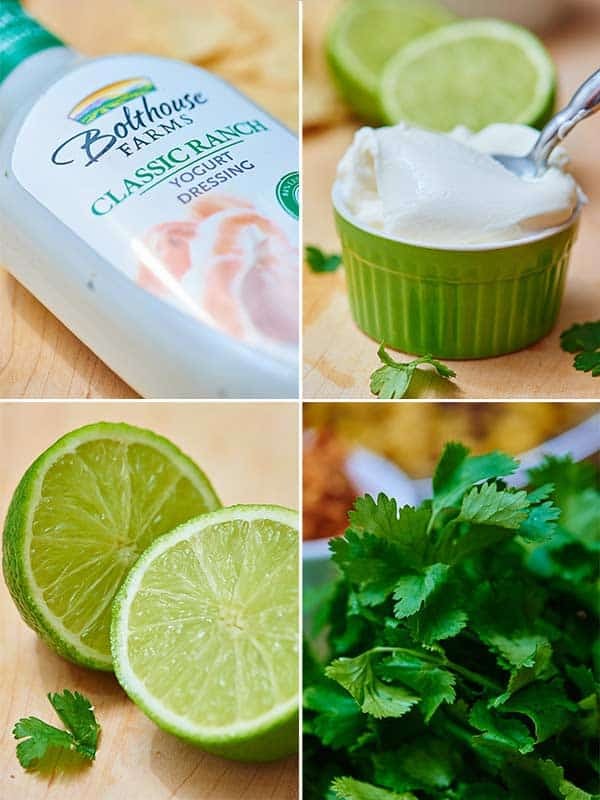 Place yogurt styled ranch dressing, sour cream, lime juice, and cilantro into your blender and blend until smooth. Place in an airtight container in the fridge until ready for use. 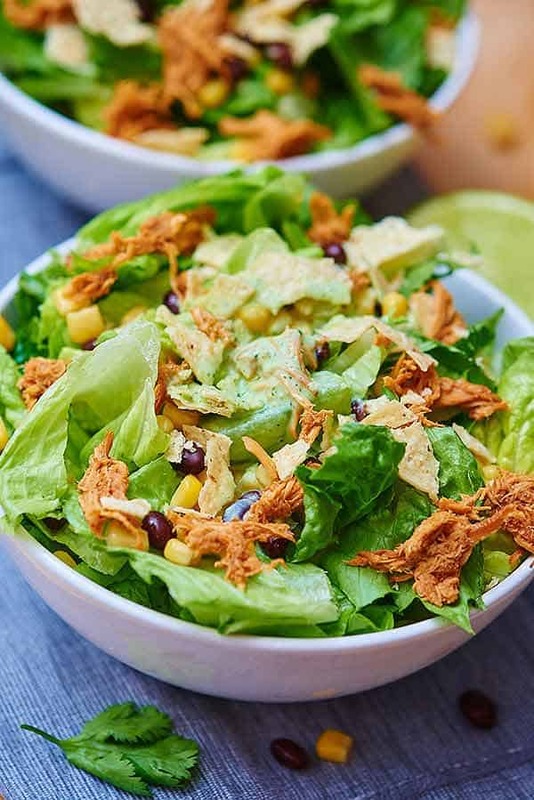 Place romaine lettuce in individual bowls. 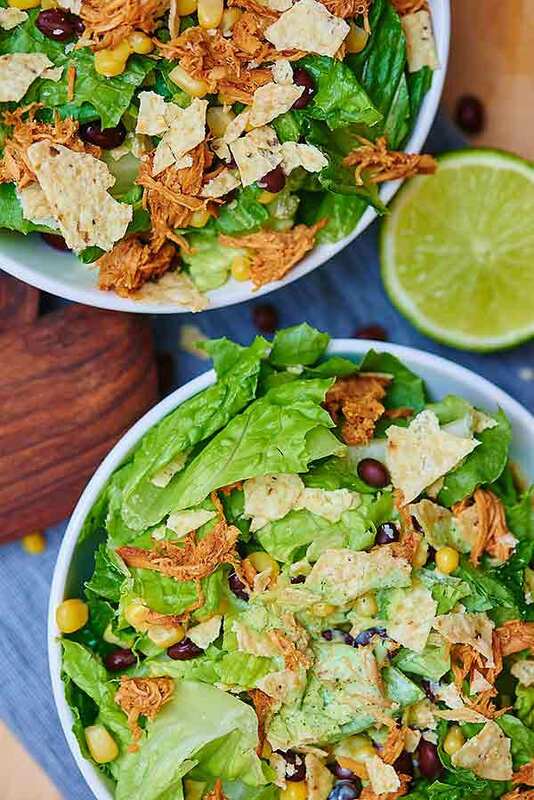 Layer black beans and corn, a little of the ranch dressing, the shredded chicken, crushed tortilla chips, and then more dressing on top! This was easy and great! Only thing I did differently was to add avocado, because y’know…avocado. Thanks for another delicious recipe! This sound so good and I can’t wait to try and to also try the dressing. I used to buy the Bolthouse dressings all the time and that grocer closed and never found them so have to do some searching for them as they had some we really loved. 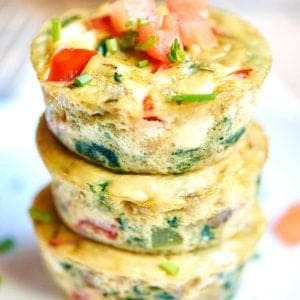 We are on a protein, no carb, low carb eating plan doing many small meals a day and need all the ideas and suggestions to keep it fresh we can get and appreciate you and this and your help. You can also do wraps in lettuce leaves with this and put some in an egg white omlet with feta cheese and tomatoes etc. May even try with pork and yes the avacado is a great idea. I’m getting all my groceries and will let you know on all of them! Anyway my husband grabbedthe blue cheese so I used that. Who’d of thunk it but the combination of the BBQ chicken & that wonderful dressing recipe is just wonderful!!!! We will have that often and have to try the other dressing now!. First bite and my husband said Ummmmmmmmmmmmm..this is awesome and this dressing is Greeeeeeeeeatt!!!!!!! Wow this is a real keeper and sure doesn’t seem like healthy food! 😆😆😆😆 Be sure to thank her!! Hi Kathy!! YES! 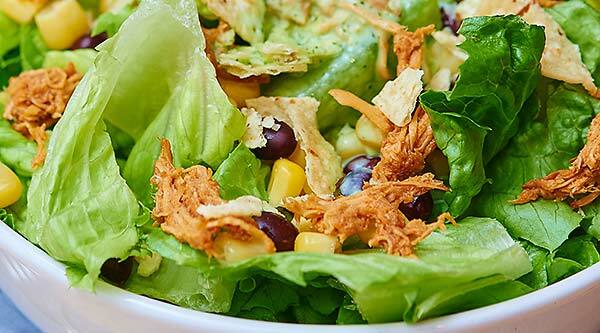 So, so happy you loved this BBQ Chicken Salad. Gotta love Bolthouse dressings…they’re the BEST! Thanks for letting me know how it turned out for you and so glad that your husband enjoyed the salad, too! 🙂 Thanks Kathy!